Chizmi may give the impression of any other typical village in North-East India- scenic with lush greenery and its forests. But today this village stands out as an illustrative example of Nagaland’s butterfly diversity. 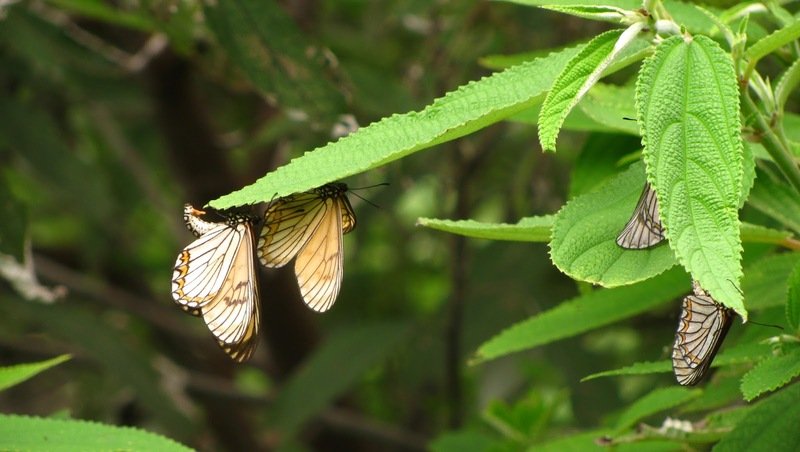 As per the results of a butterfly survey conducted at Chizmi for a period of three years from 2011 to 2014, the village is home to some 212 different species of butterflies. The study is the first of its kind to carry out in Nagaland, after a period of more than 90 years. The researchers who carried out the survey claim that the last published records of at least two butterfly species spotted during the survey - the Tawny Emperor (Chitoria ulupi ulupi) and the Comic Oakblue (Arhopala comica) - dates back to some hundred years. The last available published records about the occurrence of these two species are only found from the collections made by H.C. Tytler, a Lieutenant Colonel with the British Army, during his explorations in the Naga Hills in 1915 while he was posted in Imphal in Manipur. “Amongst the significant records during the survey, two species, the the Tawny Emperor (Chitoria ulupi ulupi) and the Comic Oakblue (Arhopala comica) have been recorded from India after 100 years, having last been recorded during surveys by Tytler”, says the researchers. According to the results of the survey published in the Journal of Threatened Taxa, 34 species recorded from the surroundings of the village are very rare and are protected under the provisions of the Wildlife (Protection) Act, 1972. Situated in the Phek District of South Eastern Nagaland, Chizmi village is inhabited by the Chakhesang tribe. It is rich with sub-tropical pine forests in many parts. It also has certain areas covered by northern sub-tropical broad-leaved wet hill forest. Chizmi is 88 km away from Kohima, the state capital. The survey reveals that Chizmi is home to very rare butterflies like Assam Darter (Ochlodes siva siva), Purple Swift (Caltoris tulsi), Ruddy Pied Flat (Pseudocoladenia fatua), Khaki Silverline (Spindasis rukmini), Hedge Cupid (Bothrinia chennelli), Blue Duke (Euthalia durga splendens), and Green Duke (Euthalia sahadeva nadaka). As per the survey figures, Nymphalidae family of butterflies tops the list with 102 members recoded from Chizmi. Out of the 212 species documented here, 36 belong to Lycaenidae family of butterflies. The third most abundant butterfly family in the area, as per the study, is Hesperiidae with 30 members which constitute 14 percent of the total number of species noted at Chizmi. Sunjay Sondhi of the Titli Trust and Tshetsholo Naro of the North East Network jointly recorded the butterflies during the three year period. According to them, the presnt survey is very significant since it confirms many earlier published records of butterfly diversity and enriches by adding new records to it. “The present work is significant because it reports numerous species not recorded by Tytler and Elwes during their extensive collections of butterflies in the Naga Hills”, say the researchers.